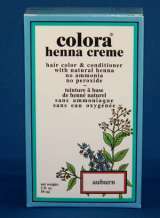 Colora Henna adds color, condition and body without chemicals. 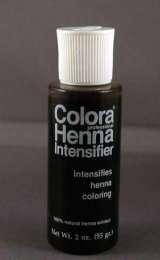 Colora Henna adds color, condition and body without ammonia or peroxide. 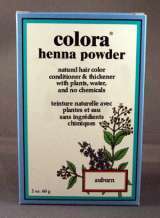 Colora Henna Shampoo will not change your hair color. 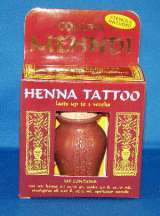 Intensifies Henna and other hair coloring. Mehndi Colora Henna Tattoo. Temporary body paint kit with all natural ingredients. Available as a 6 color kit or individual colors: Red, Black, Green, Blue, Yellow and Brown.